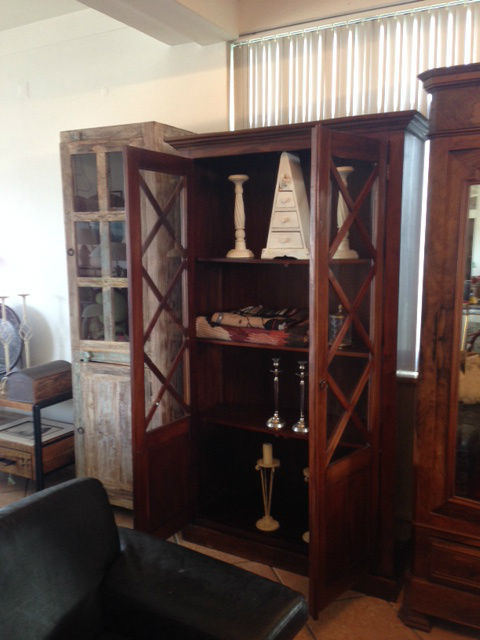 Tropical hard wood with glass doors and 3 shelves. In very good condition. €670 1.22x0.40x2.10m.